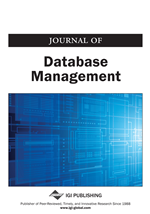 The survivability of database systems in case of information attacks depends exclusively on the logging mechanism. The recovery methods specifically designed for recovery from information attacks require that the log must record all operations of every transaction and that the log should never be purged, thus incurring enormous growth of the log. In this paper, we have developed a model for accurate and fast data recovery from information attacks in order to reduce denial-of-service while providing consistent values of data items. Our model divides the log based on transaction relationships and stores each segment as a separate file, which can then be accessed independently as required. We have proved that only one of these segments will be accessed during damage assessment and recovery process. Appropriate damage assessment and recovery methods are also presented. Through simulation we have validated that our model significantly reduces recovery time.